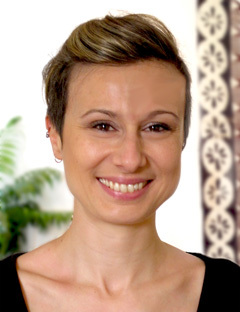 Seven years ago, Silvia Verdina boarded a flight from Italy with a one-way ticket to Sydney, ready for the complete life-overhaul that comes with relocating to the other side of the world. Step 1: career. We are lucky that we nabbed her in the process! Silvia was dissatisfied in menial retail work and sought the fulfilment of a career in which she could “help people to feel better”, which is when she began seriously exploring natural therapies, ultimately enrolling in a diploma of remedial massage. Six years later, four of which at Balmain Massage, and Silvia has built a league of loyal followers who refuse to see any other therapist. They love her for her skill, but also for the intriguing conversation and stories of worldwide adventures. Most of all, they feel a strong connection with Silvia, knowing that she can genuinely empathise with them as she battles with chronic neck pain herself. While some therapists become known for a very specific style of massage, Silvia sees herself as a bit of a chameleon, which adds even further to her popularity. Some people are surprised by Silvia’s strength, given her slim frame, but she has a few tricks up her sleeve. Massage therapy is a physically arduous job for all practitioners, requiring a high degree of fitness and physical upkeep. This is particularly important in Silvia’s case with her sensitive neck; if you sneak a peak during your massage, you will often find her simultaneously stretching, which gives her longevity and means that your massage will be brilliant from start to finish. She also focuses on self-care. The future is looking dazzling for Silvia as she celebrates her newly-granted permanent residency. We are thrilled that she is here to stay! 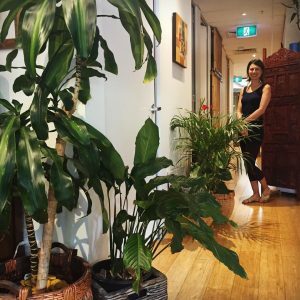 These days you will find Silvia at Balmain Massage four days a week, or organising events for a community of fellow expats on her days off. 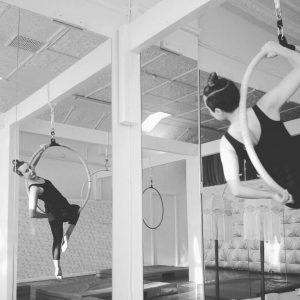 She is also training as an aerialist and just bought a pair of roller blades…this busy little bee continues to leave impression on Balmain!